Doug is the Director of TLC for Tabor Community Services, Inc, which is a multi purpose shelter in downtown Lancaster serving those experiencing homelessness. The goal of the program is to work individually with each household and assist in moving them toward the goal of obtaining safe, sustainable, permanent housing (bridging homelessness to housing). Doug is involved in many different committees and groups involving the issue of homelessness and chairs the Homeless Service Provider Network for the Coalition to End Homelessness. In addition Doug is VP of the Board of Mental Health America and is a Board member for the Lancaster County Project for the Needy. He joined the KPETS board having been aware of the great organization through his parents, Bill and Carol Hopwood, who have been members and participants with their golden, Maggie, for years. 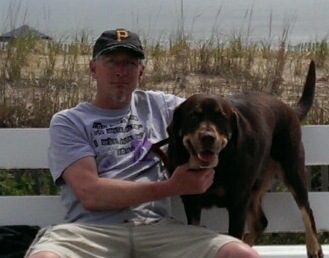 Doug rescued Bernie, a black and tan Lab mix, from Golden Pittie Rescue, and Bernie now enjoys going to the shelter as a KPETS therapy dog and making everyone smile. Dr. Corey received her BS degree in Animal Bioscience from The Pennsylvania State University in 1991. 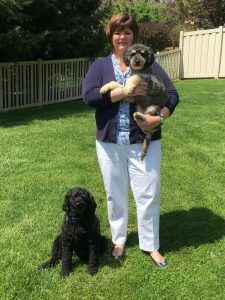 She went on to achieve her veterinary degree at the University of Pennsylvania School of Veterinary Medicine graduating at the top of her class in 1995. 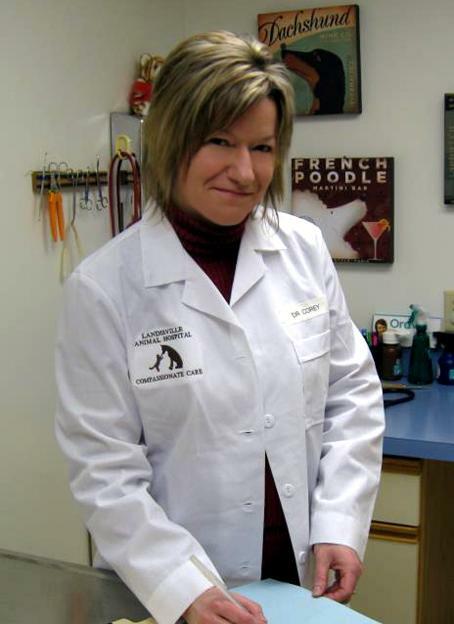 Dr. Corey has tended to the dogs and cats of Lancaster County for the past 17 years. She is delighted to join Landisville Animal Hospital to serve the pets and their parents. She enjoys the challenging internal medicine cases, puppy training tips, and educating her clients. Dr. Corey shares her home with her wonderful fiancé Jim, her amazing daughter Amanda, her handsome black lab Kolby Bingo, her miniature horse Dukie, and her three cats Olivia, Aslan, and Calico. She enjoys watching her daughter play soccer and her cello. She also enjoys snowmobiling, walking, and spending time outdoors at her family farm. Katie is an attorney at the Lancaster law firm of Kegel, Kelin, Almy, and Lord (KKAL) where she practices primarily business and real estate law. In addition to her role as a Director of KPETS, she also serves as a Director of the Fight on Foundation, a local non-profit organization that provides monetary assistance to families with loved ones battling cancer. 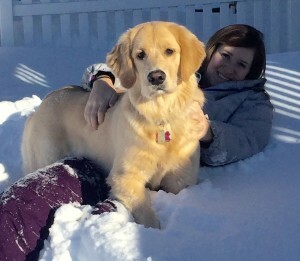 Katie lives in Ephrata with her golden retriever puppy, Ella, who will hopefully one day become a KPETS therapy dog! Tammy is a native of Sunbury, PA and moved to York County more than thirty years ago. As a child, she found a deep passion for animals and people that only grew with age. 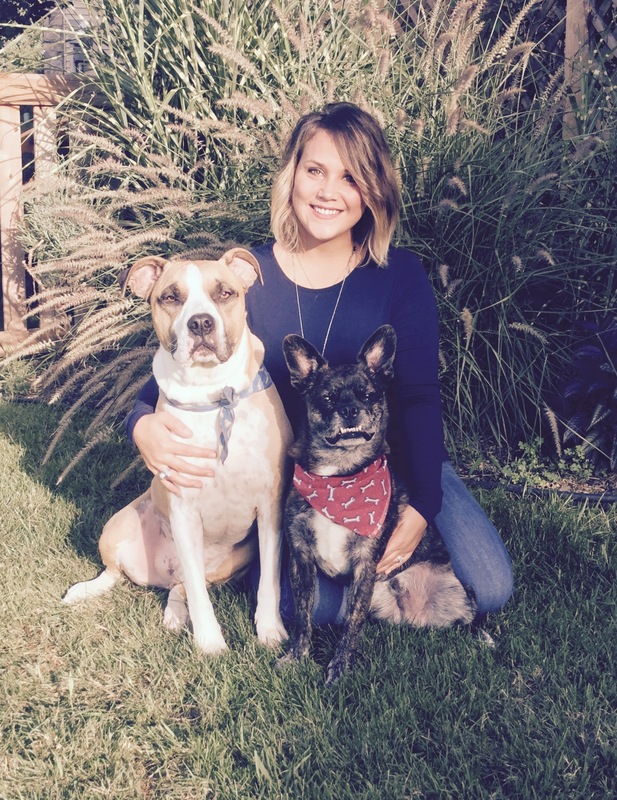 She is a graduate of Shippensburg University with a BA in Psychology and Community Counseling, as well as a graduate of Saint Joseph’s University with a Master’s of Science in Healthcare Administration. Tammy is the CEO of Lancaster Rehabilitation Hospital (LRH) and possesses more than twenty-five years of experience in medical and functional rehabilitation. When joining the LRH Team nine years ago, she immediately recognized the extraordinary and indescribable value that KPETS added to the rehabilitation patient’s recovery. She has been “hooked” and a passionate KPETS advocate ever since! While working in Lancaster, Tammy lives in York with her husband, Michael. Their son, Jordan, lives and works in Baltimore. 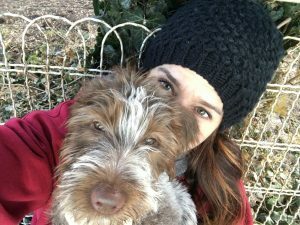 All are extreme-animal lovers and dote over their Australian Labradoodles, Nittany and Zoe. With their dogs, they enjoy camping, swimming, boating, and all-things Penn State! Larissa is a CPA at Acuity Advisors and CPAs, LLP, where she is a Supervisor in the business services department. Her undergraduate studies were at Millersville University, where she graduated with a BA in Spanish and a BA in International Studies. During this time, she lived abroad for a year in Burgos, Spain, where she studied Castellano at the University of Burgos. She has also earned a graduate degree from New England College with a Master’s of Science in Accounting. Larissa adores all animals, with a special love for dogs. 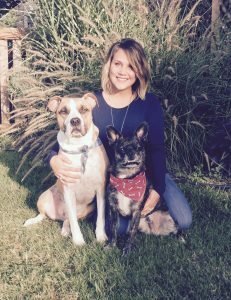 She lives in Lititz with her husband, Adam and their two boys, Boozer and Zeek. 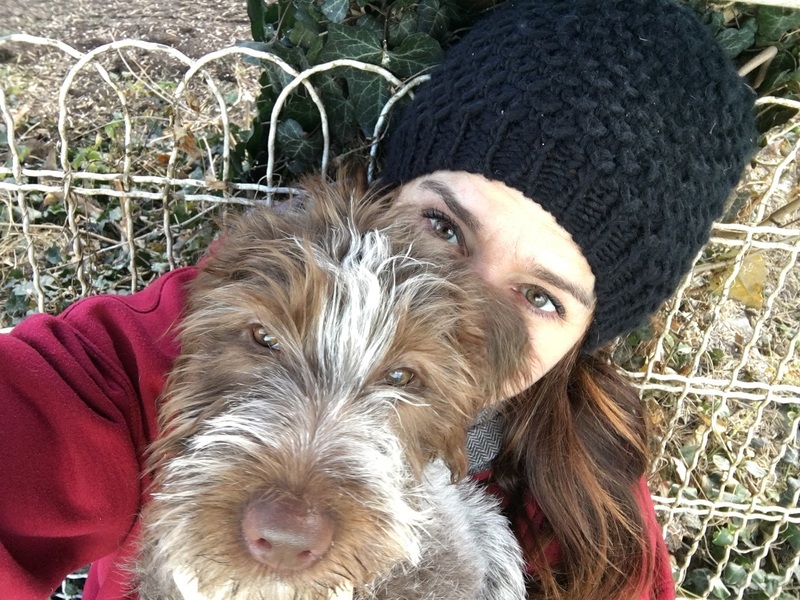 She enjoys traveling, gardening, the outdoors, spending time with family and spoiling her dogs. Dr. Heather Girvin, M.S.S., teaches in the School of Social Work, Millersville University. She teaches at bachelor, master, and doctoral levels, focusing primarily on courses that relate to diversity and cultural competence, child welfare, family violence, and social theory. Dr. Girvin is dedicated to the development and implementation of active and innovative learning, emphasizing critical thinking as a mechanism by which students learn to be competent practitioners. Early in her career, Dr. Girvin practiced primarily with children and families, intervening to prevent child maltreatment in the context of urban poverty. Dr. Girvin remains interested in child maltreatment but has broadened her work to include macro-level practice (both direct practice and research) that aims to ameliorate the impact of trauma, particularly trauma related to violence defined broadly. 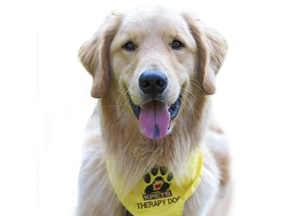 Dr. Girvin’s contemporary work adopts a global perspective (including recent trips to Haiti, Costa Rica, South Africa, Nicaragua, and Honduras) and creative strategies such as the expressive arts and animal assisted therapies (canine and equine). Dr. Girvin and her family live in Lancaster. They are all animal lovers, with ‘Etta the wirehaired pointing griffon, Otis the snake, and Pumpkin the bearded dragon completing their family. Karen had been working in the Information Systems (IS) field for over 14 years. Her skills have provided KPETS with the administrative and technical skills needed for database implementation, web design, newsletter creation and distribution. Her knowledge has also served KPETS well in setting up systems to aid in the communications and coordination of volunteers with participating facilities. 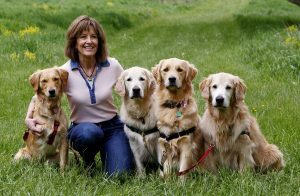 In the mid-90’s, Karen’s passion for pets led her into several years of service as a volunteer with New Life Assistance Dogs (now known as UDS Service Dogs). Serving as Puppy Pal Coordinator, she also assisted with raising several assistance dogs for the program. After further research and learning how animals can be used in so many other various therapies, the conception of KPETS became obvious. Driven from the very beginning and “finding her calling”, Karen followed through and KPETS was established as a non-profit organization in 2003. Karen and her husband enjoy sharing their lives with three golden retrievers – all registered KPETS therapy dogs. Sadly, while on vacation, Karen and her husband lost Max (above far right) after a three-year battle with the dreaded c-word.